A pre-requisite for any of our advanced facials that delivers the best possible results for your skin. Benefit from our expertise and follow your custom made prescription for your professional treatments and skin care at home. Redeemable with any skin care or treatment purchase. Includes detailed analysis and diagnosis of the condition of your skin and any concerns, a professional prescription plan and advice. 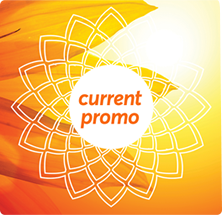 Fully redeemable against skin care purchases or skin treatments of $200 or more. All Facials and Body Treatments Pre-Pay for 5 Get 1 FREE. Our most popular and effective anti-aging facial. Combines all the best treatment technologies available today! Includes: Cleansing, Microdermabrasion or Customised Peel, Lightwave Treatment, Foot Massage followed by a DMK Transdermal Infusion that will leave your skin feeling soft, smooth and radiant with a noticeable plumping effect. 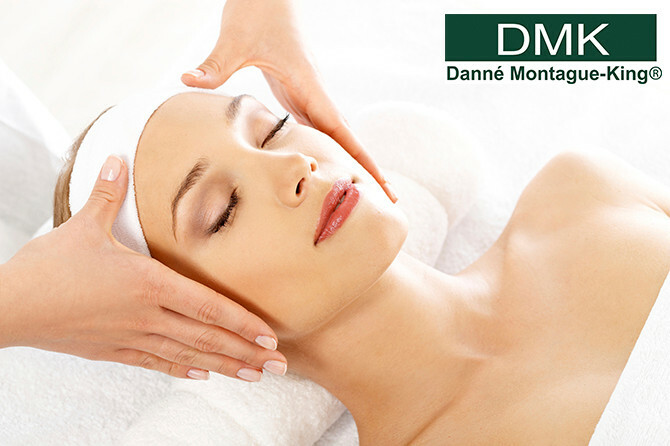 DMK has formulated a range of treatments and products designed to educate skin to perform like youthful healthy skin. DMK’s revolutionary concept of REMOVE, REBUILD, PROTECT, MAINTAIN aims to match an individual’s biochemistry with the appropriate skin therapy. Restores skin back to it’s peak condition. Enzyme therapy strengthens the skin and leaves it feeling firmer and visibly improved from the very first treatment. Highly recommended for all skin types including sensitive and those requiring repair. Includes deep cleansing, enzyme treatment, relaxing hand and arm or foot massage and nourishing transdermal infusion. Age Management treatment designed to lift and tighten tired, sagging facial muscles. This treatment not only lifts and firms the skin, it can also help restore optimal skin function. An instant “pick me up” for skin for those that want a quick result. Give yourself the ultimate in skin tightening and firming. Will hydrate and plump the skin to unbelieveable firmness after just one treatment. Perfect for special occasions. During the consultation process, your therapist mayprescribe additional pre-enzyme or post-enzyme treatments to enhance your results. DMK’s Quick Peel increases circulation causing anincrease in oxygenation and nutrient supply to the tissue, helping to eliminate stagnation, inflammation and infection. Hydrolise dead cell material whilst increasing dermal hydration. An excellent treatment to plump and smooth. A powerful exfoliation formula designed to remove the accumulation of old, redundant dead cell material and pigmentation. Excellent for thickened sun damaged skin, acne, scarring, pigmentation, congested oily skin and dull lifeless skin.